Disclaimer: Angelladywriter, is not responsible for the false articles or advertisements that surround this article. 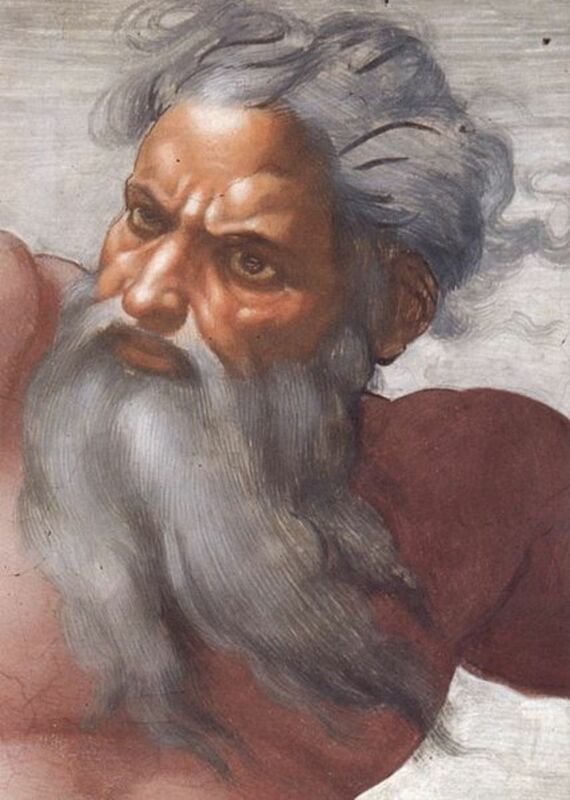 My intention for this article is to focus on the new World Headquarters of Jehovah's Witnesses and its purpose which is to educate people about the Bible and share the history of this organization. We must remember each of us is imperfect and should learn not to judge each other. It is vital that we demonstrate and practice true love as Jesus taught us. 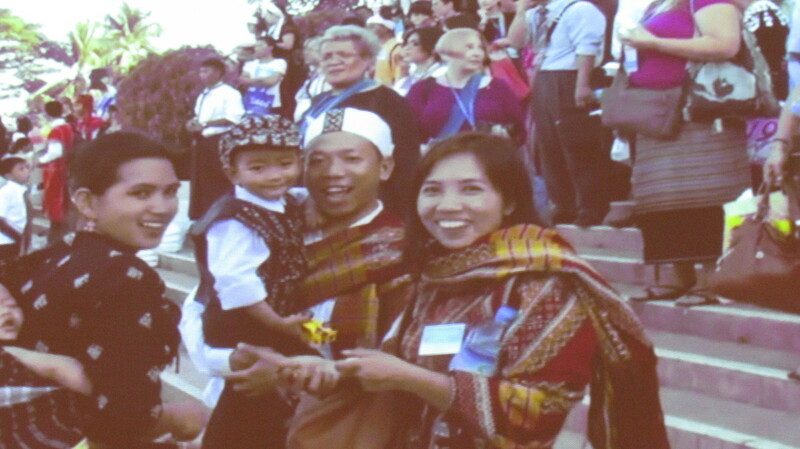 The love and respect of one another allow the choice of freedom of religion to be practiced. Never would we want to become like the rulers of #Russia, China, North & South Korea where religious freedom does not exist for certain citizens. 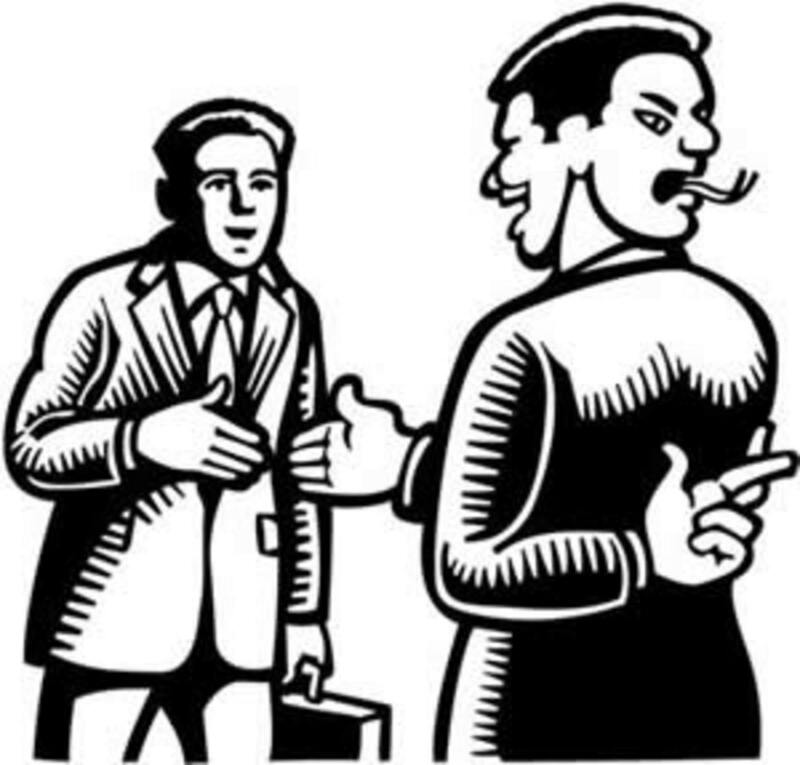 Additional information is included in this article through well-researched information concerning a conspiracy which caused a recent ban of Jehovah's Witnesses by the Russian government. The new World Headquarters of Jehovah's Witnesses is tremendously impressive. This article gives a diminutive source of information because millions of Jehovah's servants have not had the privilege to see the facility. Tours are so popular that the headquarters are booked throughout the year of 2017 for the #Tuxedo Park, Warwick, New York facility. David, a volunteer parking attendant for the headquarters acknowledged how "It could take about three days to complete the entire tour." Unfortunately, David is correct. With hundreds of photos, historical facts, videos and interactive displays, three days maybe an underestimation for completion of the tour. It is still vital that you attempt to book and visit this spiritually stimulating facility. All are welcome and the tour is free of charge. How Did This Impressive Facility Come About? 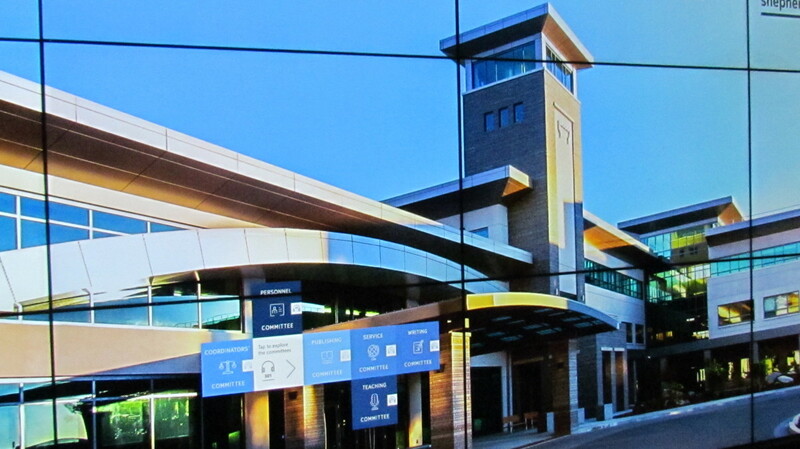 The intriguing video below express in detail how and why this facility was constructed. World Headquarters of Jehovah's Witnesses-Warwick, New York Tuxedo Park, NY. This Video is from YouTube by JW Brothers which explains how the project evolved. Thousands of Visitors Stream Daily to the New World Headquarters of Jehovah's Witnesses. 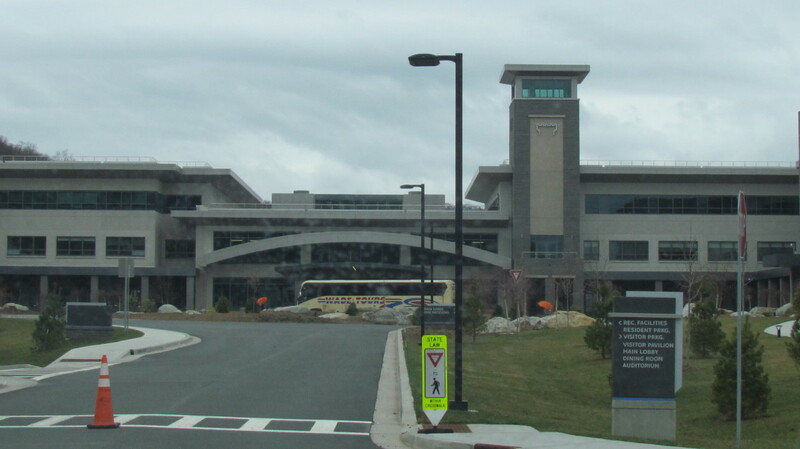 Their new headquarters is located in "Sterling Forest which is 21,935 acres of natural refuge. 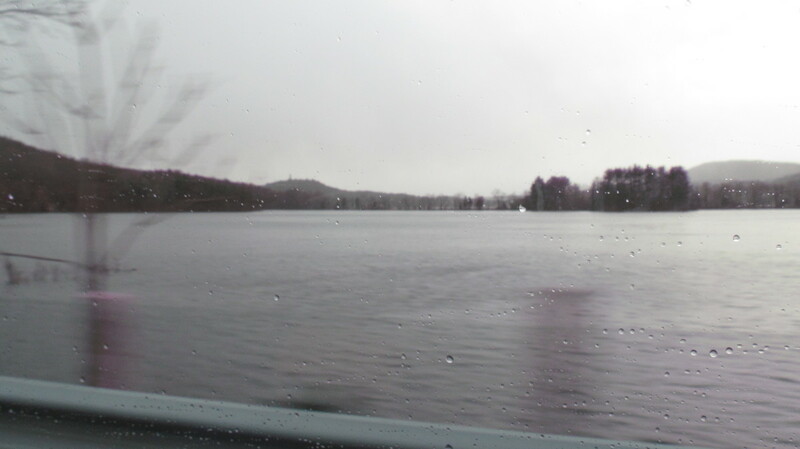 Blue Lake is 115 acres of surface area, 2.3 miles of shoreline with a maximum depth of 26 feet." 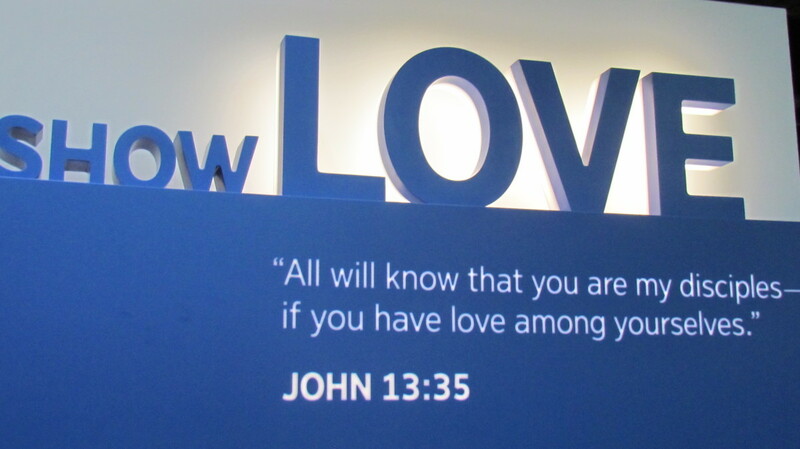 This display based on John 13:35 expresses clearly what we should show toward each other as servants of the true God, Jehovah. 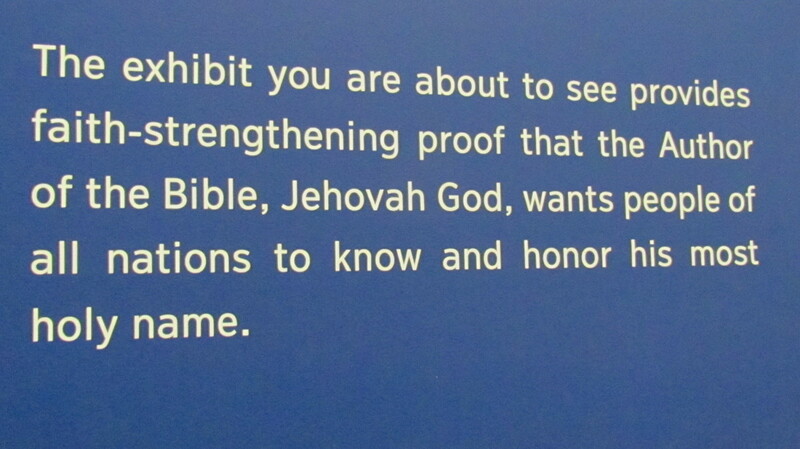 One of the many amazing displays that focus on millions of followers that will tour this new facility which gives honor to Jehovah God and his son Jesus Christ. 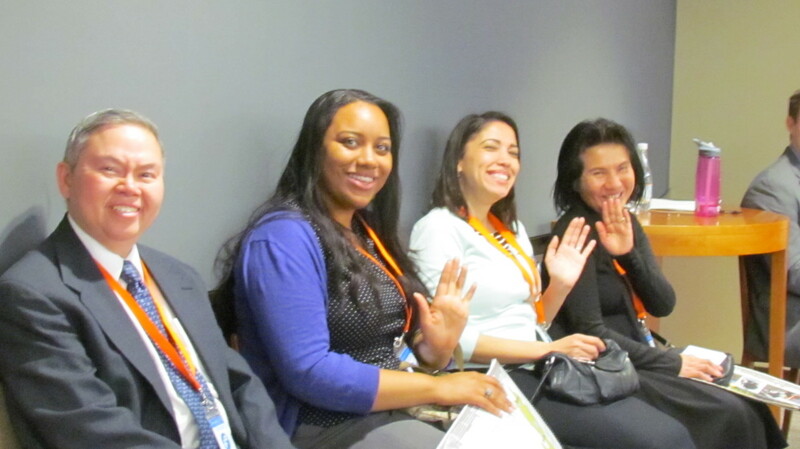 Guests from all over the world attend this tour of Warwick, NY. Individuals were interviewed from India, Canada, England, Africa and numerous other areas. Thousands visit this new headquarters daily. 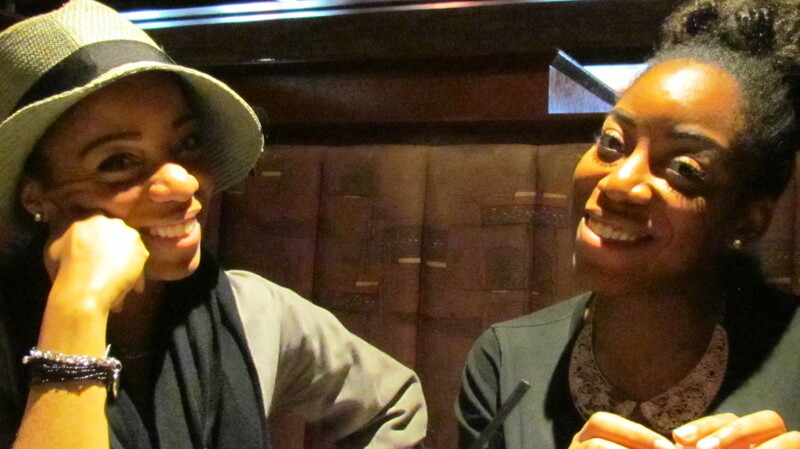 Starting from the left is Brittany and Wanisha. 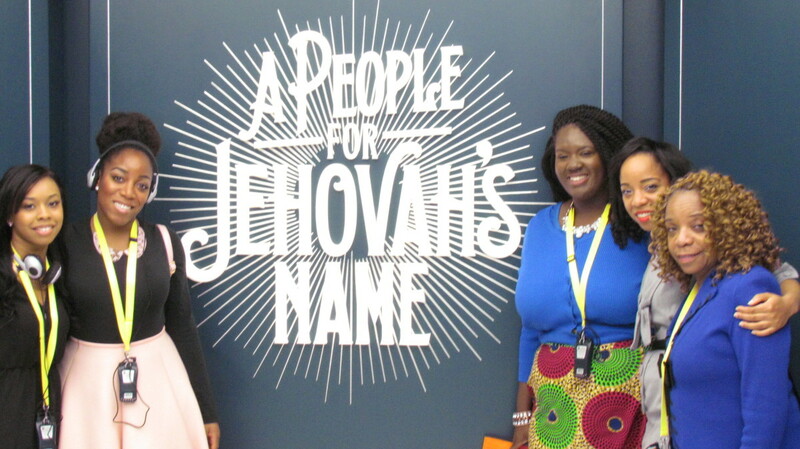 On the right is Chantal, Jaleesa and Claudette, in front of this powerful message entitled, "A People for Jehovah's Name." Headphones along with an interactive device similar to a cell phone is given to each guest once you check in. 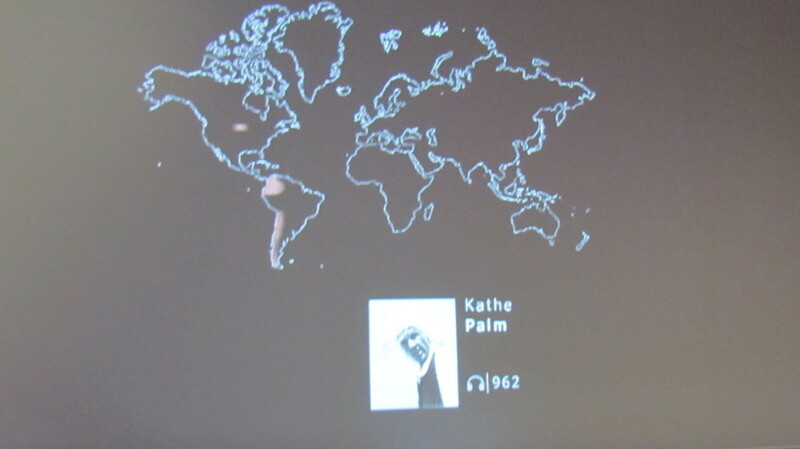 This allows each individual to move through the displays at their own pace without a tour guide. The personal experience is inspirational. 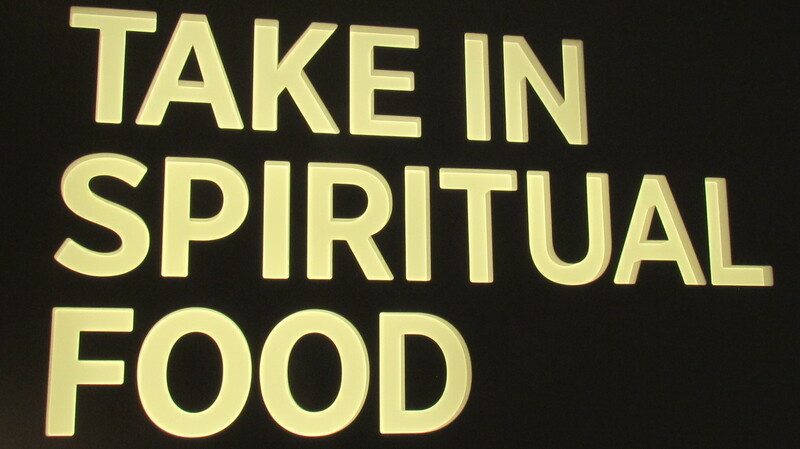 One of the many displays which encourages us to, "Take in Spiritual Food" daily. Each of us are inspired to read God's word the Bible each and everyday in order for us to keep a personal relationship with Jehovah and his son Jesus Christ. 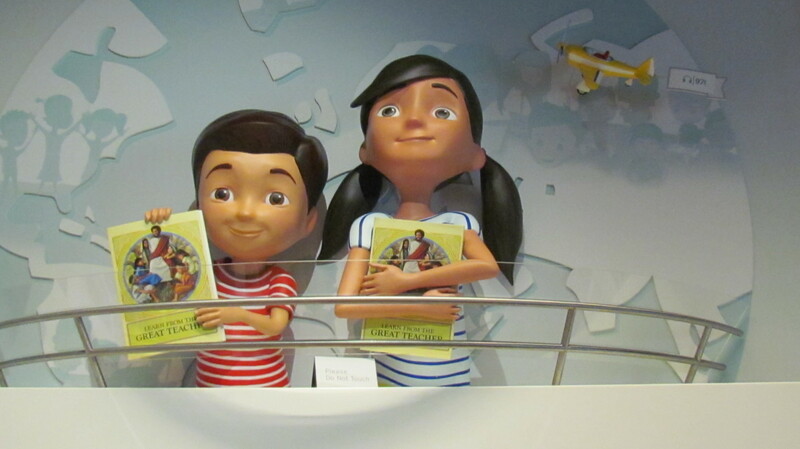 Animated characters such as Sophia and Caleb, are used to teach children powerful Bible based lessons to use in their lives daily. 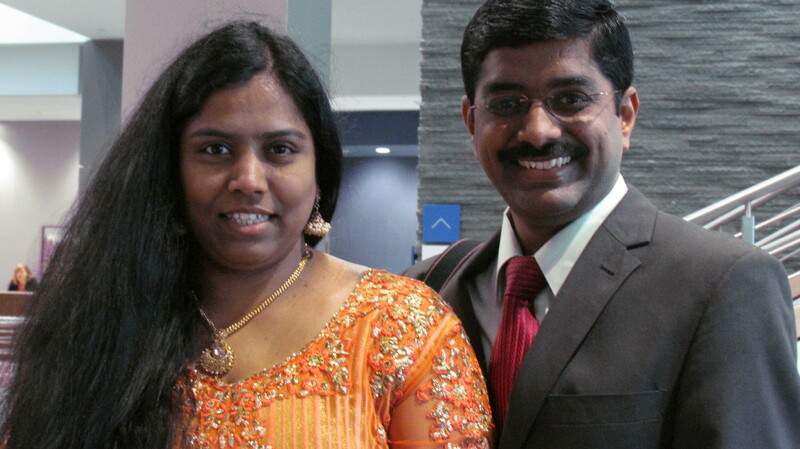 This beautiful couple, Ashwini Daniel and Daniel Franklin, were touring the Warwick headquarters of Jehovah's Witnesses. They currently live in Manchester County, Connecticut, although originally from South India. 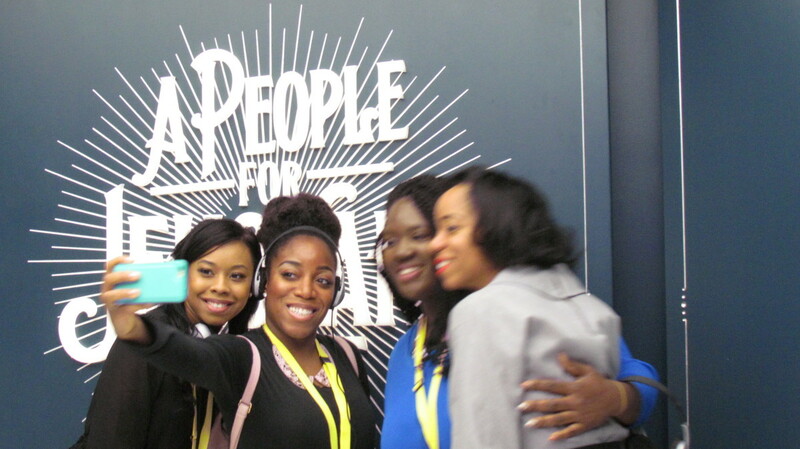 Brittany, Wanisha, Chantal and Jaleesa do a quick group photo during the tour..
Nikki, is on the left. She volunteers at the Tuxedo headquarters. Nikki, on the left, organized this tour with the assistance of Chantal, on the right. The tour is already booked throughout the year. Millions from all over the world will visit. 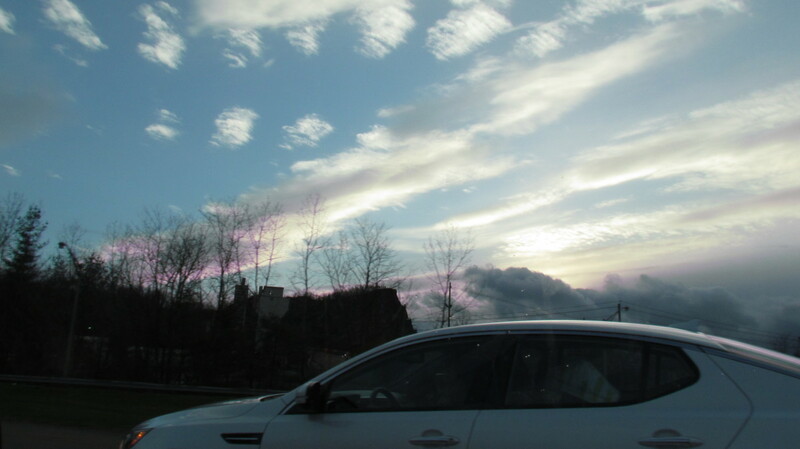 Intriguing cloud formations that we experienced on our way to the Tuxedo, New York headquarters of Jehovah's Witnesses. 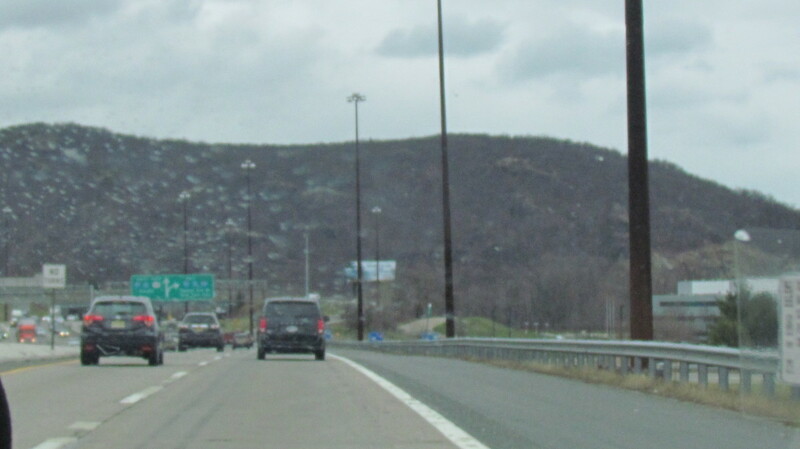 Amazing mountain ranges as you approach the Tuxedo, New York area. 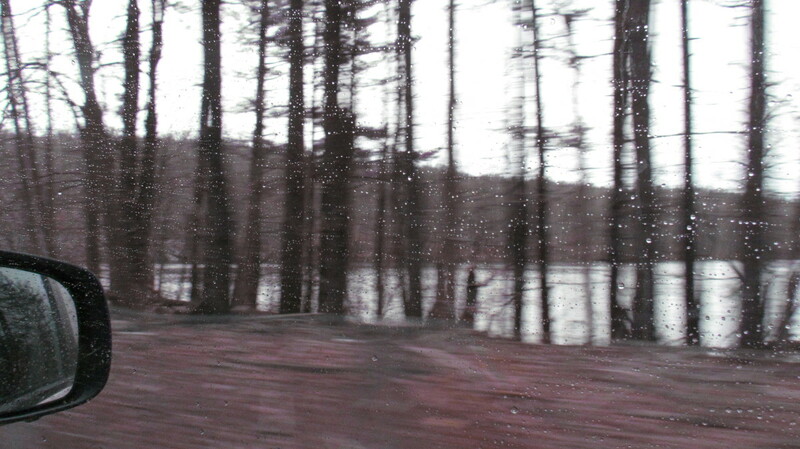 The views on the way to the Tuxedo, NY headquarters are spectacular. The mountains, lakes, rivers and streams are nestled in a park like setting. 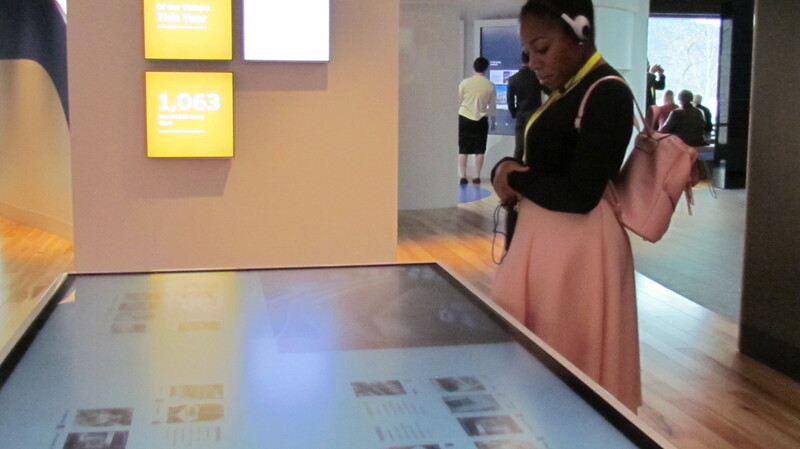 My daughter views one of the interactive displays that allows you to ask questions about the organization of Jehovah's Witnesses.. Your tour to the new #World Headquarters of Jehovah's Witnesses must be scheduled through one of the volunteers at this facility. Once you receive your scheduled date and check-in, a device that is similar to a mini cell phone and a pair of earphones are given to each #visitor. 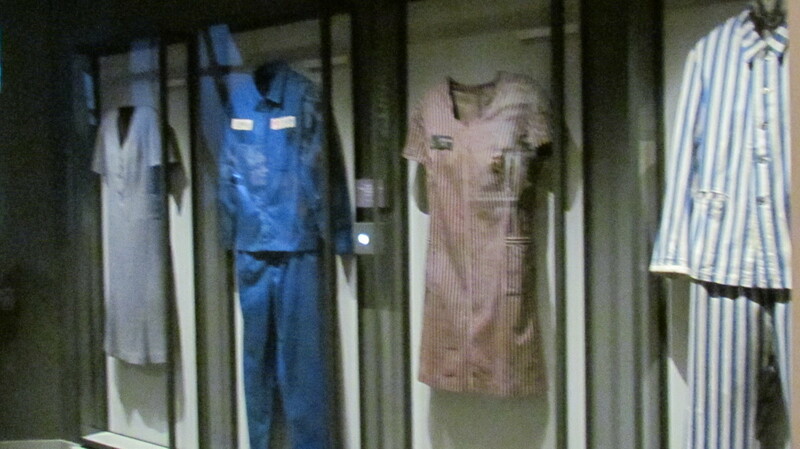 Through these mechanisms, you can visit each display by putting in the numbers listed on the exhibit. Historical facts are given through pre-recorded information based on each individual display. 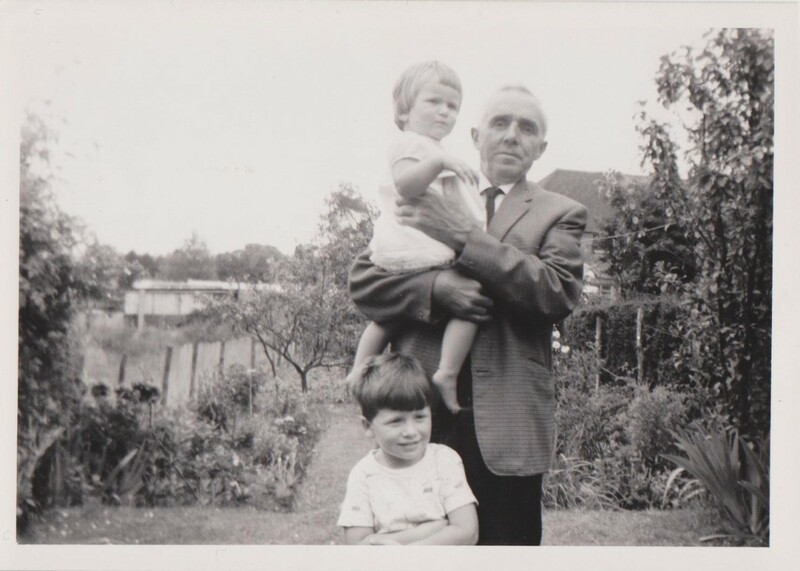 This allows visitors to be informed about the photos, videos or information that is included. Guests can pace themselves through this interactive bravura without a personal tour guide. 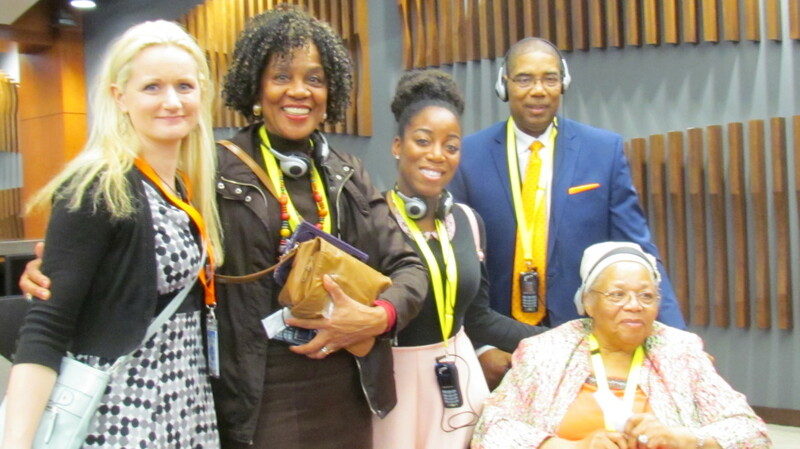 Many visitors expressed how much they appreciated this new personalized, spiritually uplifting, aspect of the tour. Kenneth Chernish, who served on the Construction Project Committee made this comment which is included within the video listed above entitled, Jehovah's Witnesses World Headquarters Move to Warwick: "To finish Warwick in less than four years which was our goal, we decided that construction would need to begin by July 2013 but as that date approached it really didn't seem as if we were gonna make it." 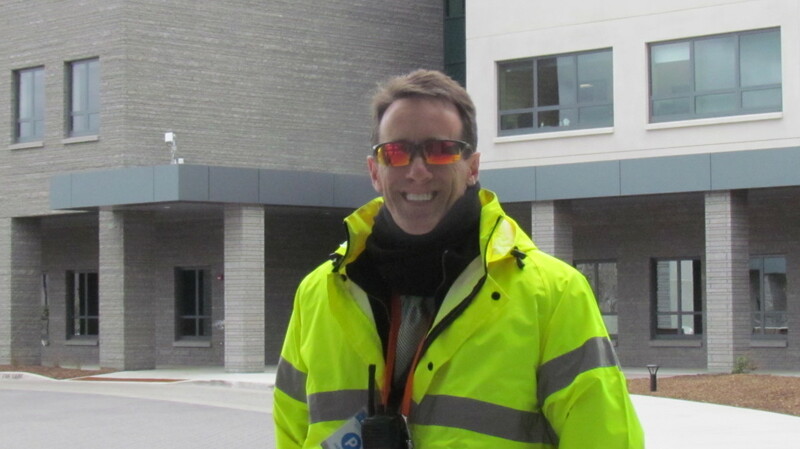 The project was completed by thousands of volunteers who worked diligently with the cooperation of local residents and commendations of governmental officials within the Warwick, New York area. Chernish went on to explain, "We spent a lot of time praying about it. We decided we needed to act in faith and we were convinced Jehovah was gonna make it happen. When approval came through we knew it was only by Jehovah's spirit that that happened." 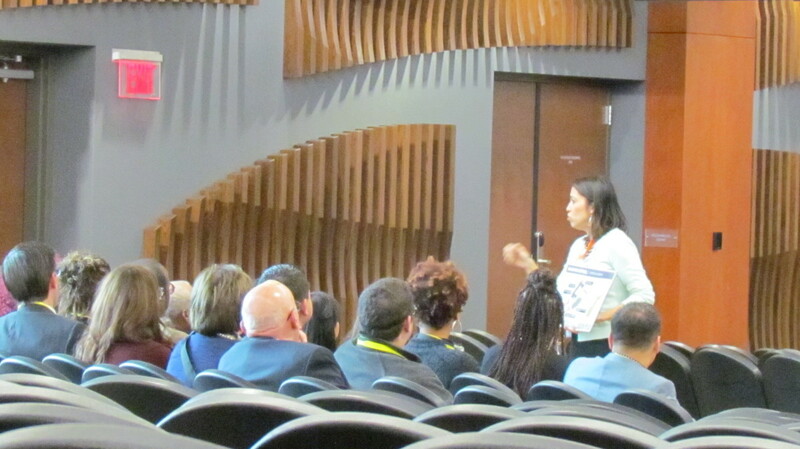 During the tour, a presentation was given by one of the tour guides. She explained how the witnesses went to such extremes during construction to protect two animals; the rattlesnake and a certain type of turtle. A dam is on the property although this location was vacant for years. The guide went on to explain how; frogs, bluebirds, #bald eagles, whitetail deer, black bears as well as numerous other wildlife cohabit peacefully in the midst of Tuxedo Park where the headquarters currently exists. Another volunteer worker acknowledged, "You know its not very easy to build 1.6 million square feet surrounded by forest without impacting that forest but that is what we were asked to do so that design requirement, as well as the limited infrastructure on the site, made it necessary to stage our personnel, shops and material storage someplace else. 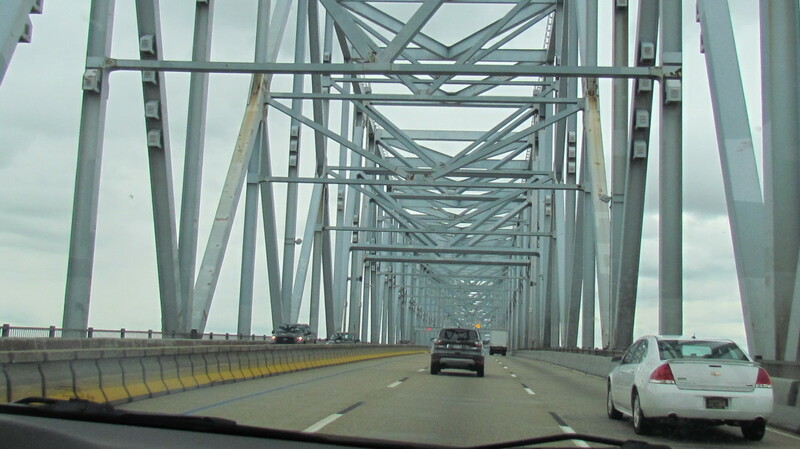 Tuxedo site was just perfect for that need being just six miles away." To hear more about individual, inspirational experiences, go to the video featured at the top of this article. 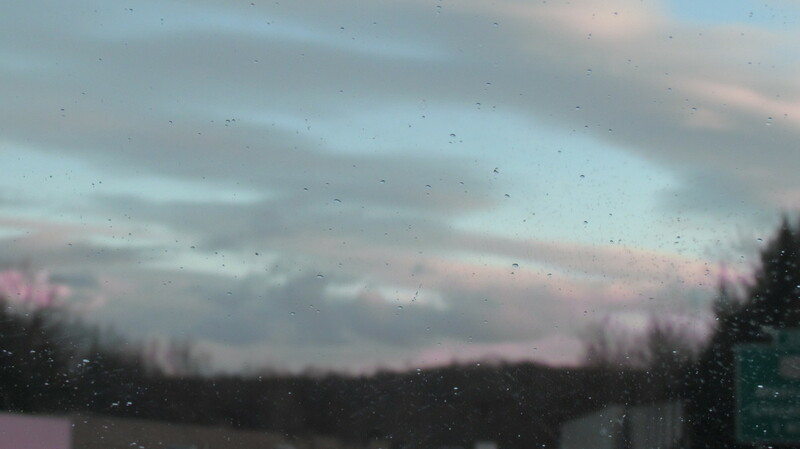 A photo that is featured of a tower at the facility of Jehovah's Witnesses Headquarters. 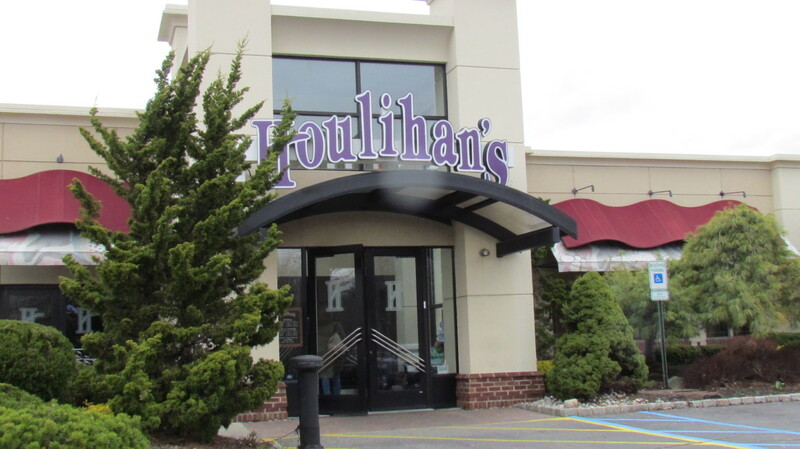 The Houlihans Restaurant, was located a few miles from the Watchtower Headquarters. 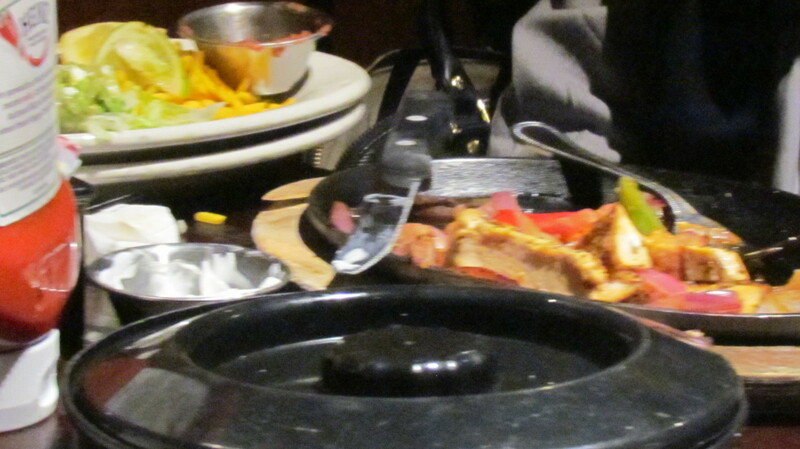 Our family stopped at Houlihan's Restaurant in New York on the way to our tour. 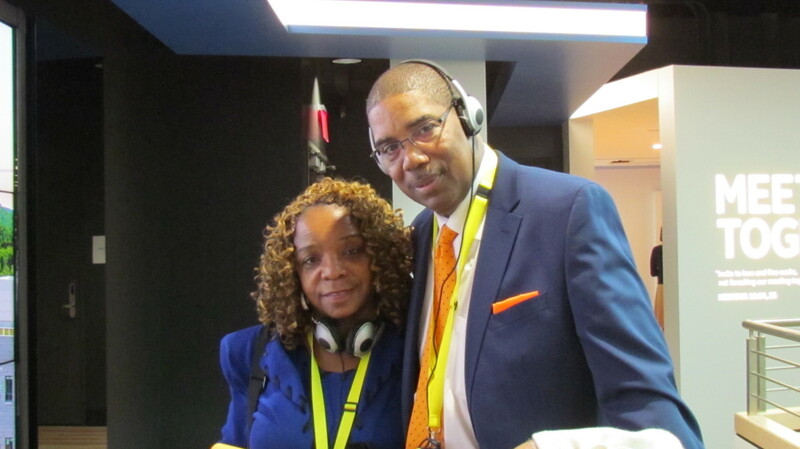 Carol Dawkins, joined our family on this powerful tour of Jehovah's Witnesses new Headquarters. 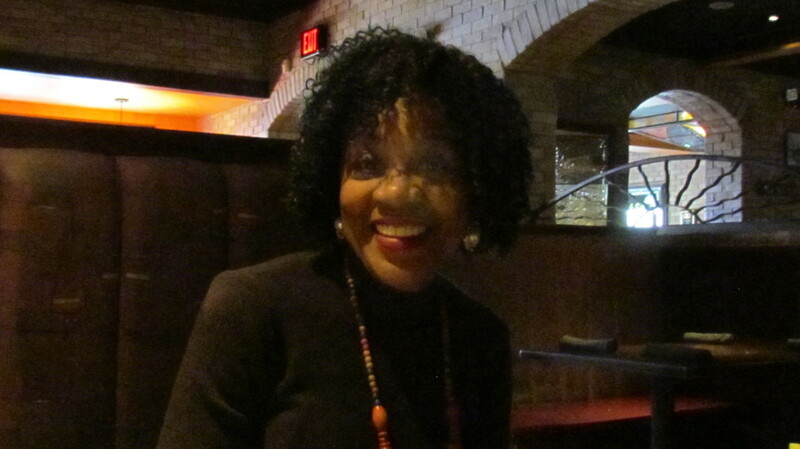 Carol, said how spiritually uplifting the tour was. 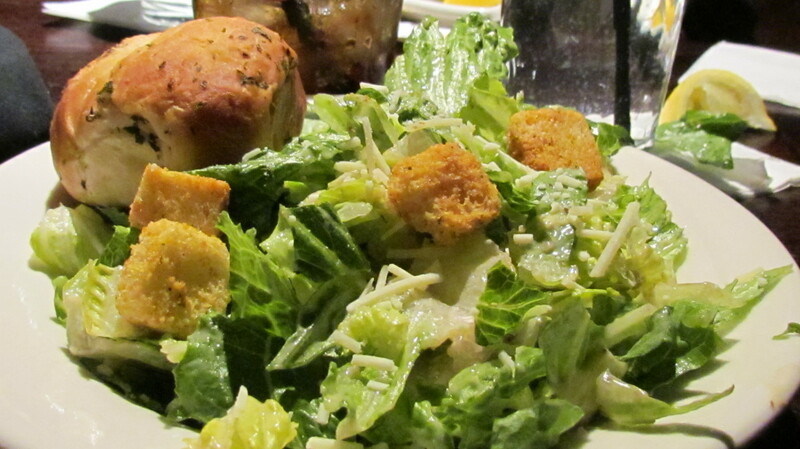 My meal was started with a delicious ceasar salad. 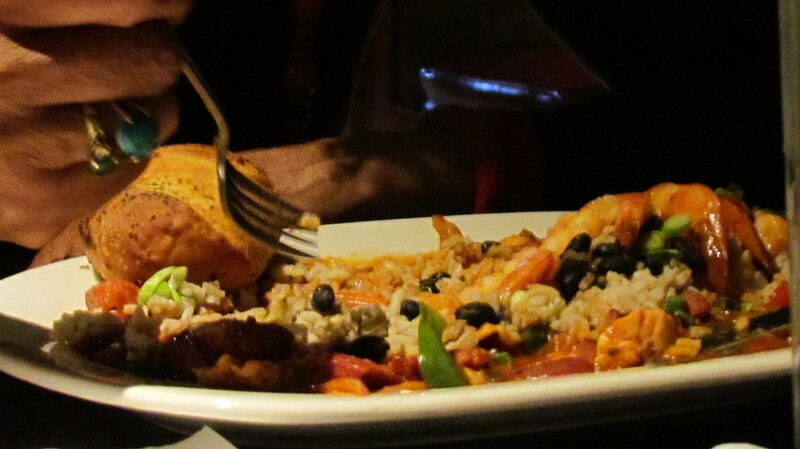 My husband Walker and his mom Susie, had the delectable New Orleans Jambalya. I had a little taste and It was so delicious. 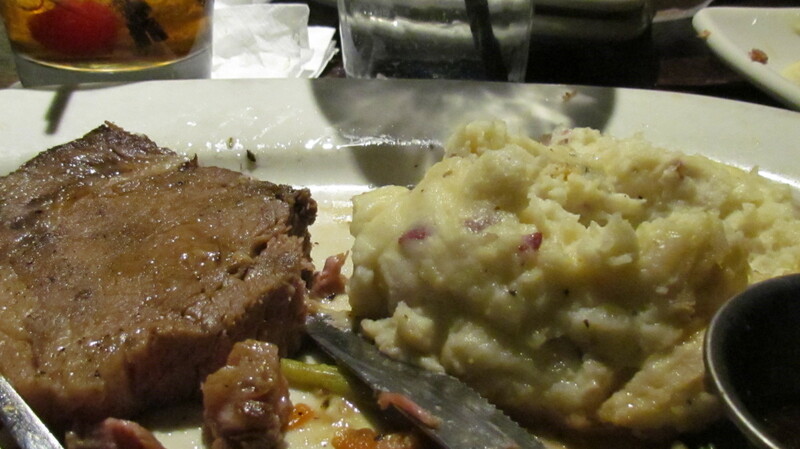 I had the Prime Rib with read mashed potatoes and mixed vegetables with a Cherry Coke Cocktail. 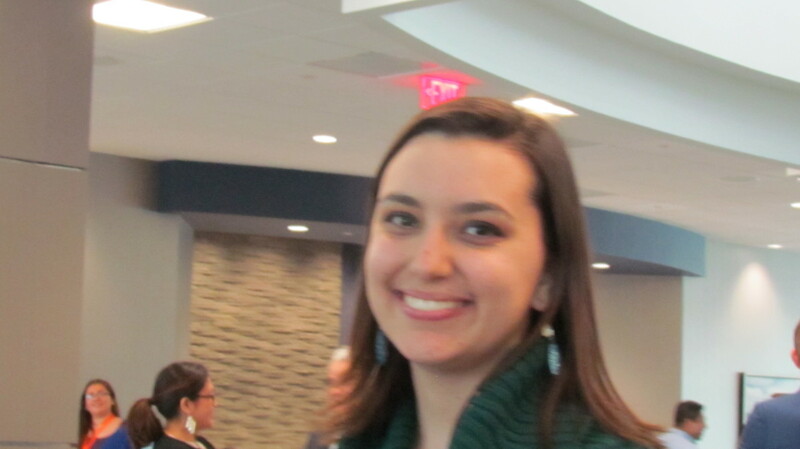 My daughter Wanisha, had the Tortilla Wraps which she said was very good. 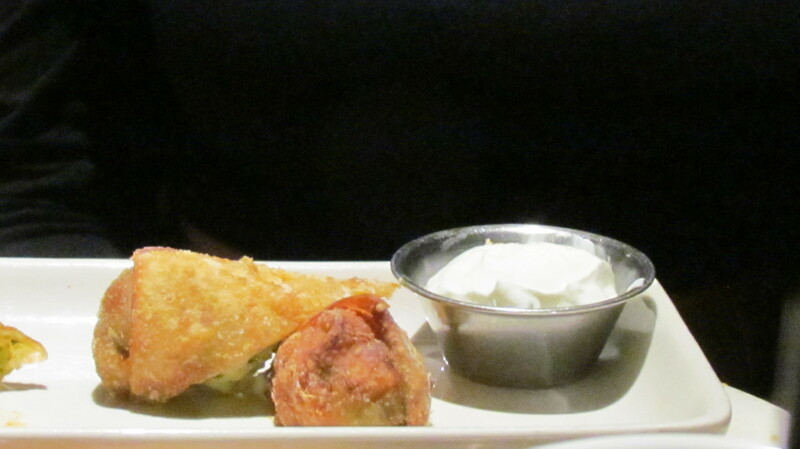 Egg rolls were also selected from the menu. 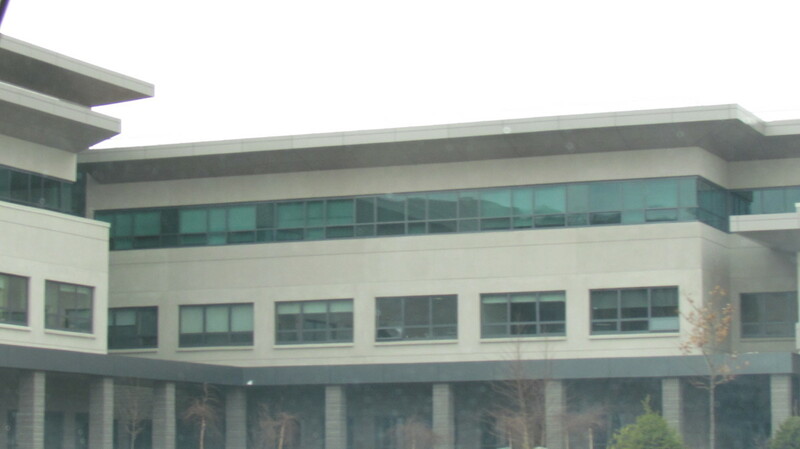 A photo of one of the office buildings with the Watchtower facility. 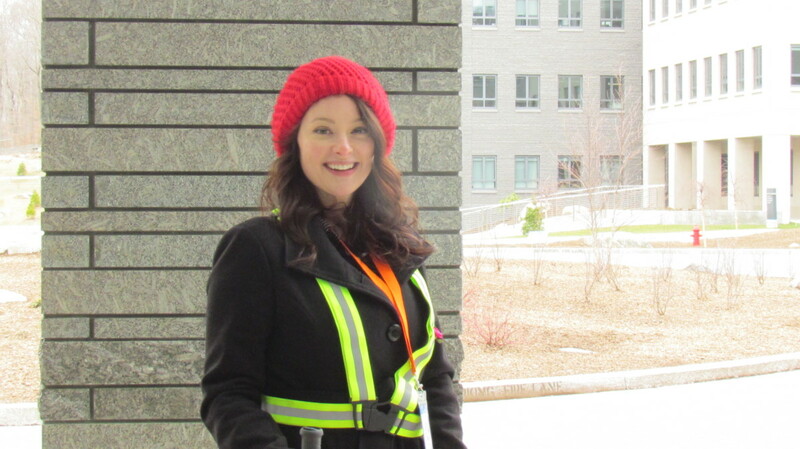 Bailey, is one of the parking attendants that serve as a volunteer who welcomes thousands of visitors daily. David, who also volunteers as a parking attendant for the Bethel facility of Jehovah's Witnesses. 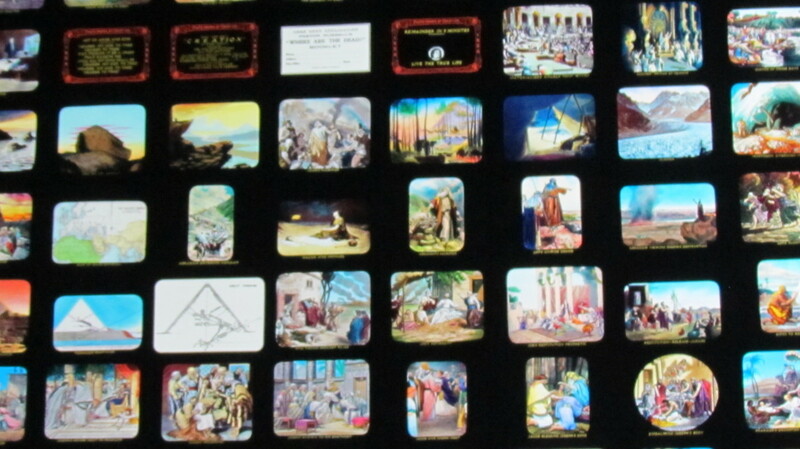 One of the hundreds of displays that focus on God's word the Bible. 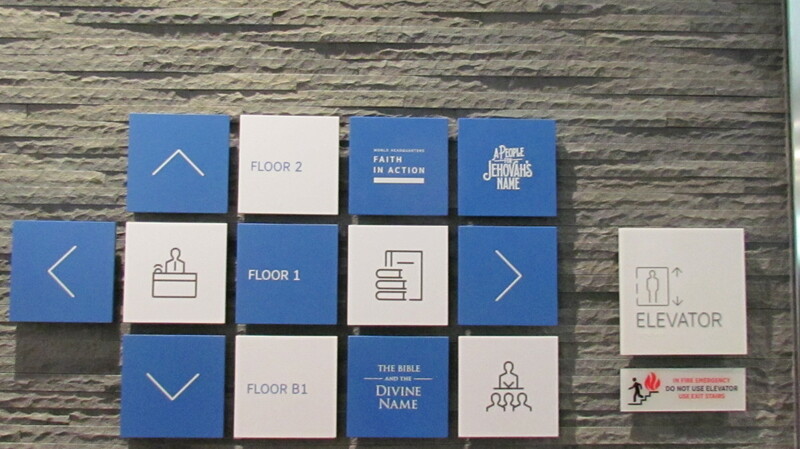 A display that is a part of the "Divine Name" which focuses on important it is that each individual should know their Grand Creator's name. 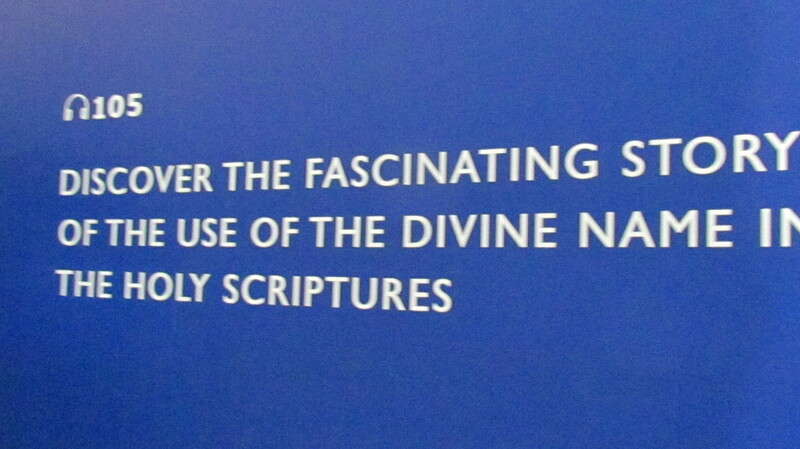 Another part of the "Divine Name" display and how it is translated over seven thousand times in the original Holy scriptures. 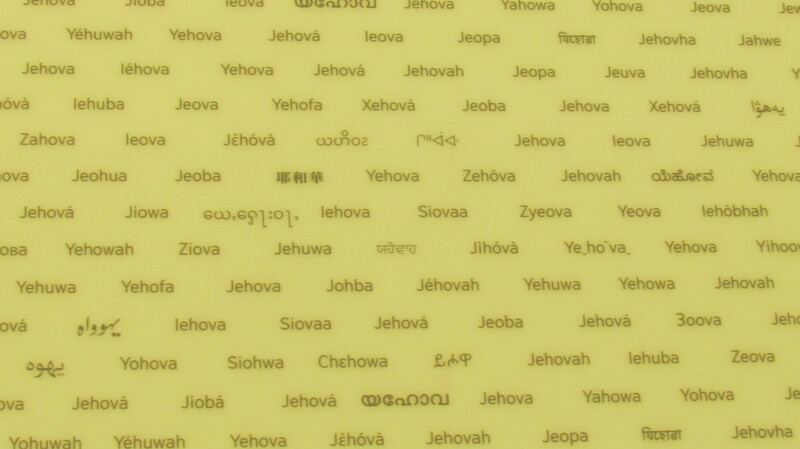 This display is different ways Jehovah God's name is spelled or mentioned in various Bibles. 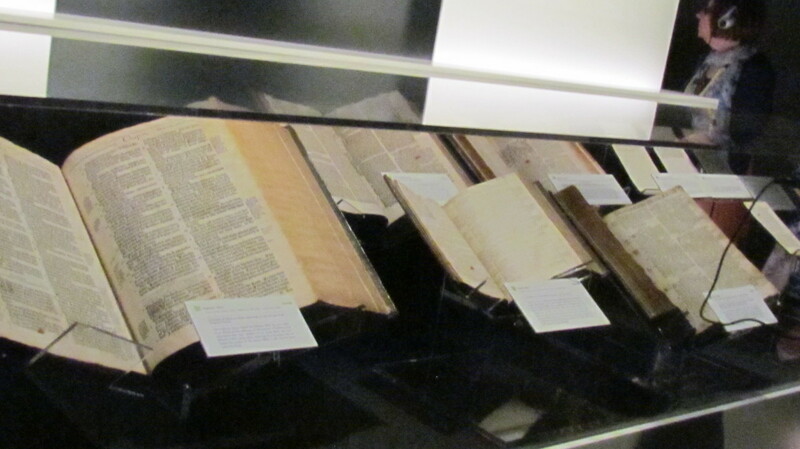 Various Bibles that are exhibited within the "Divine Name" display which includes God's holy name. During the tour at your own pace, you can go into the Warwick auditorium which is also a local Kingdom Hall where history is shared about the construction of the headquarters. An outstanding review of construction history for the new World Headquarters was presented during the tour by one of the volunteers. 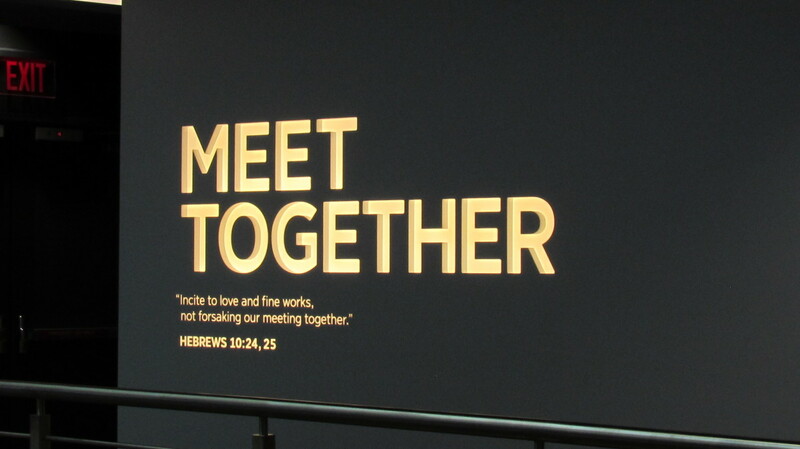 This message is displayed based on Hebrews 10:24,25 which encourages us to gather together for our spiritual meetings. It is within one of the numerous galleries during the exhibit. 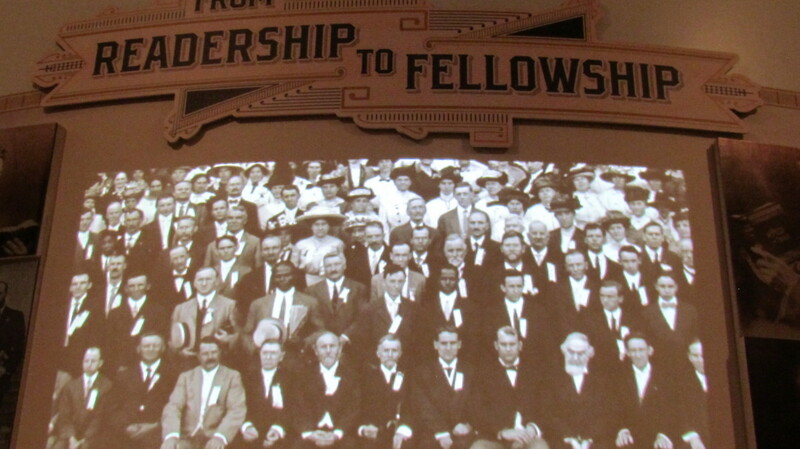 within the galleries are such encouraging words as from "Readership to Fellowship." 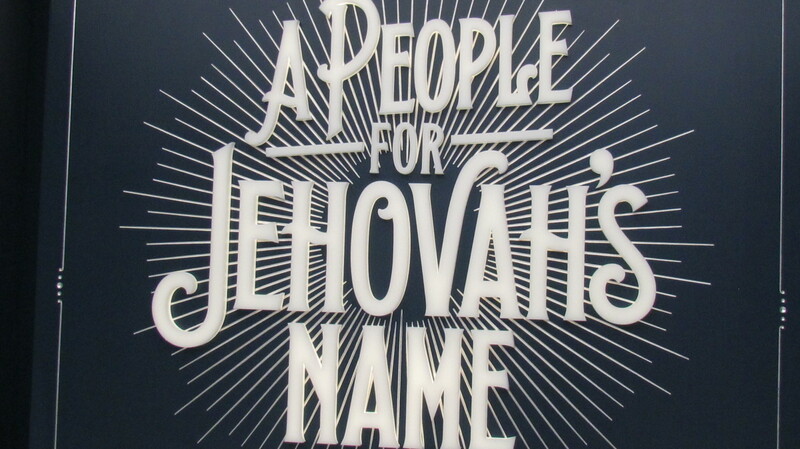 More than eight million serve as Jehovah's Witnesses today. 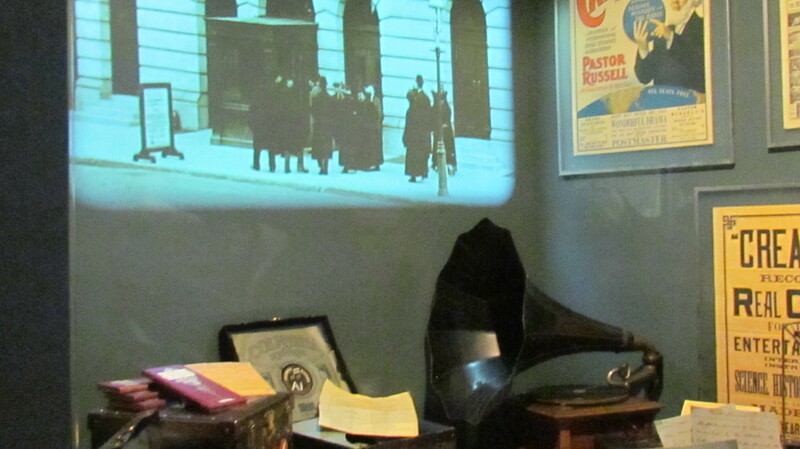 Within one gallery is a display of color photos of the first color photo drama to ever be produced which was seen by millions in the early 1900's. 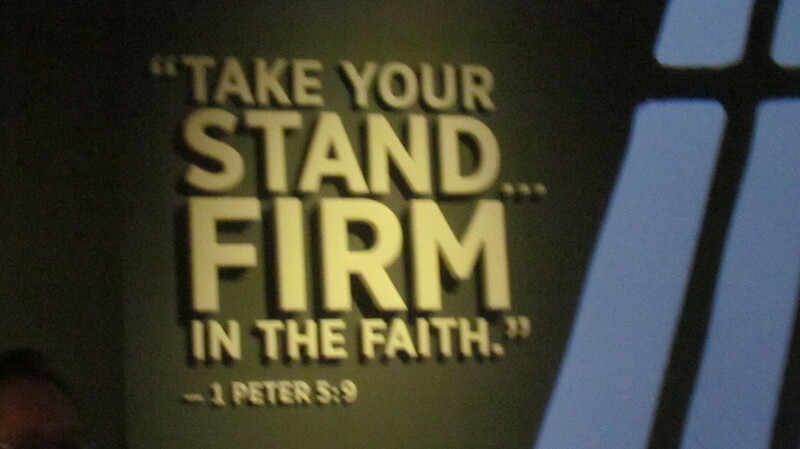 In one of the numerous galleries this scripture is display at 1Peter 5:9 which states, "Take your stand . . . Firm in the Faith. 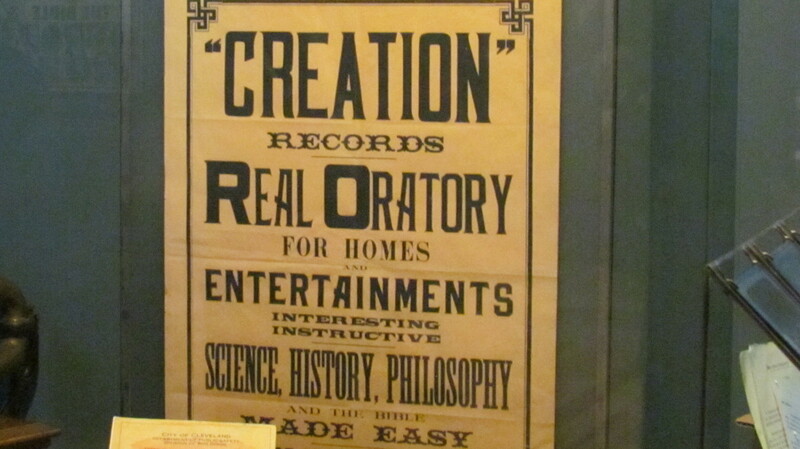 A part of history which is a sign that discuss the Creation Records display. Hundreds of black and white photos are on display throughout the displays of previous servants throughout the world. 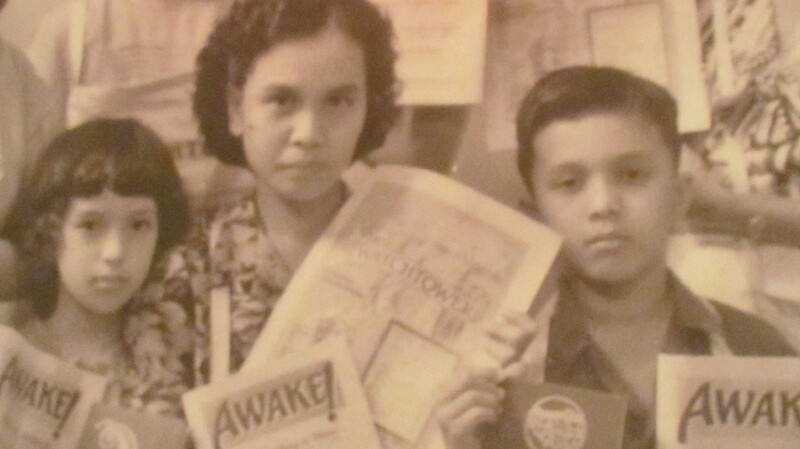 A photo of servants of all races that wore placards to share information about one of Jehovah's Witnesses publication the "Awake." 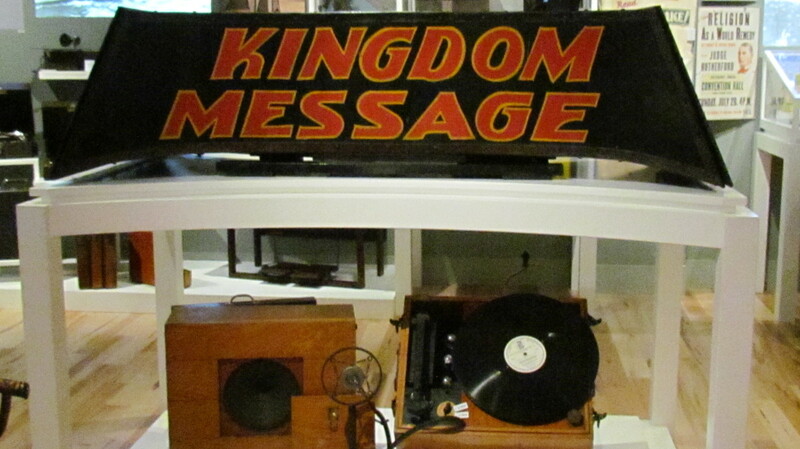 "Kingdom Message" display of various records and speakers used in the early times of Jehovah's organization. 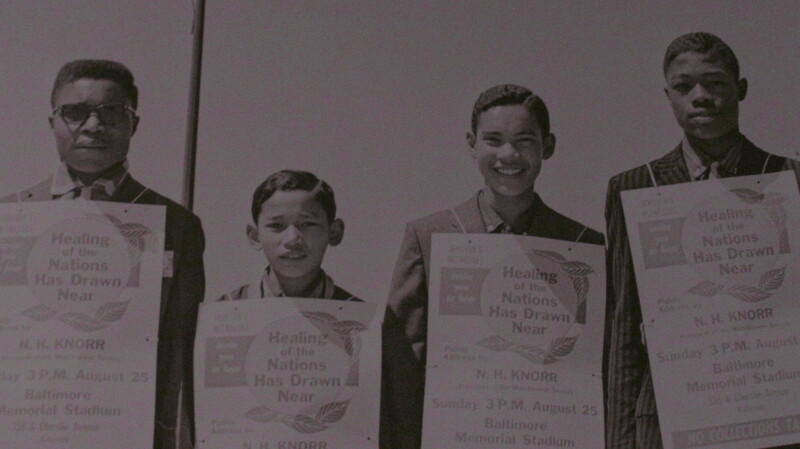 Photos of Asian brothers and sisters in various lands throughout the world that are servants of Jehovah God. 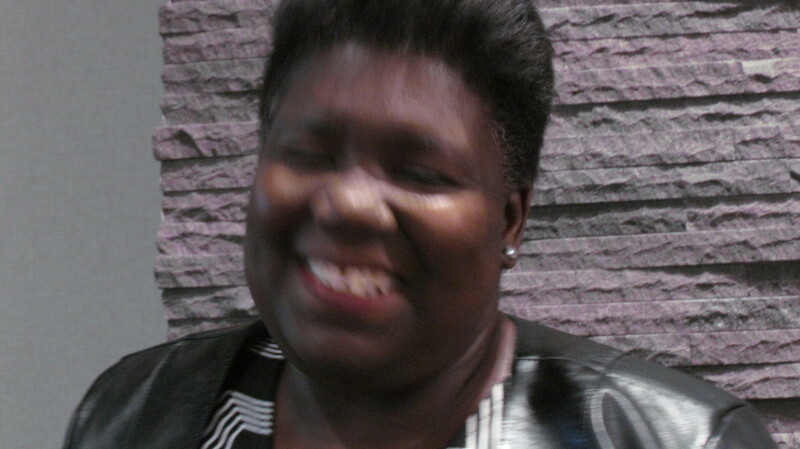 Kathe Palm, is featured as one of the most effective preachers of the good news throughout the US, Africa and other parts of the world. 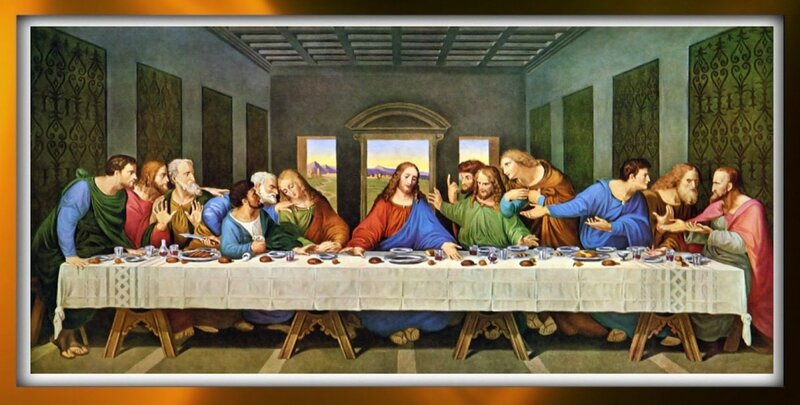 A photo of the painting which featured Apostle Paul as he shared the good news in the first century. 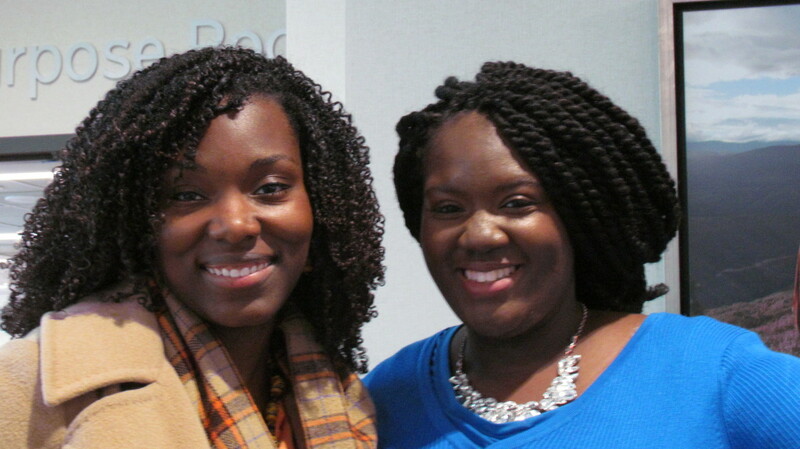 Michelle, is the mother of Chantal who was also on the tour of Bethel. 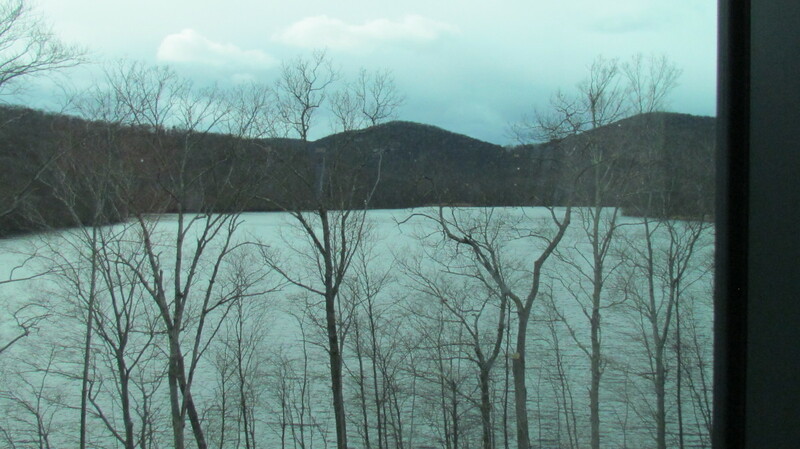 Beautiful lakes and rivers are nestled within trees within Tuxedo Park, Warwick, New York which is new World Headquarters of Jehovah's Witnesses. Captivating mountain ranges with clouds hovering over them were seen as we returned home from our tour at Headquarters of Witnesses in Warwick, NY. Mayan, serves as a volunteer greeter at the new facility in Tuxedo Park. 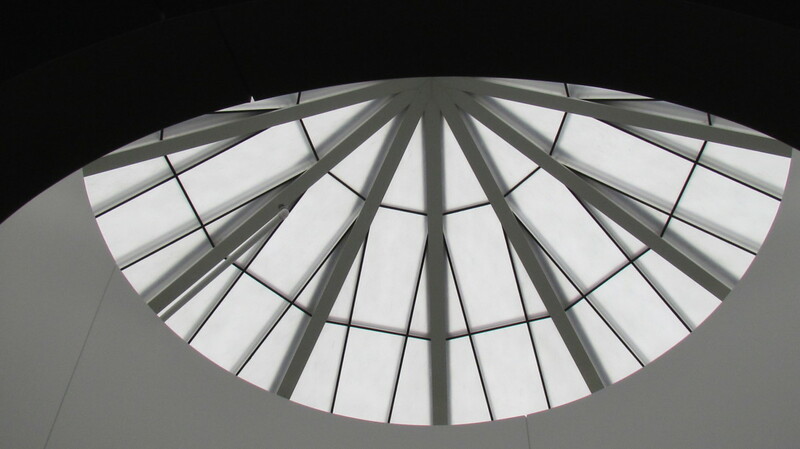 A skylight within the Bethel facility of Jehovah's Witnesses. 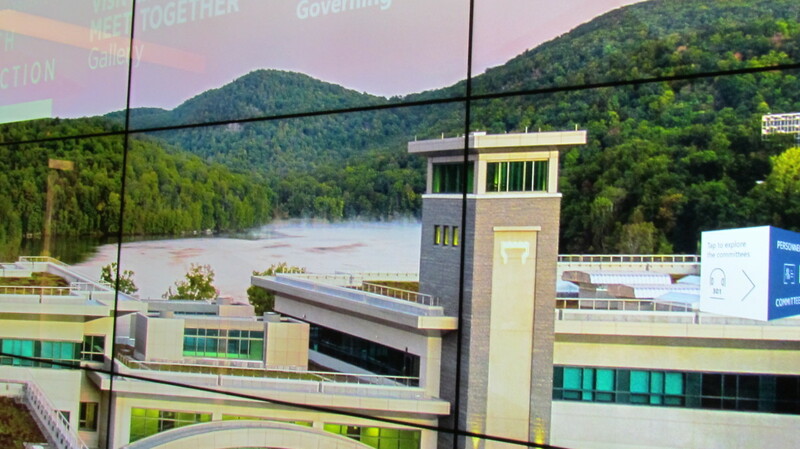 A photo of one of the spectacular views that surround the new Watchtower facility. 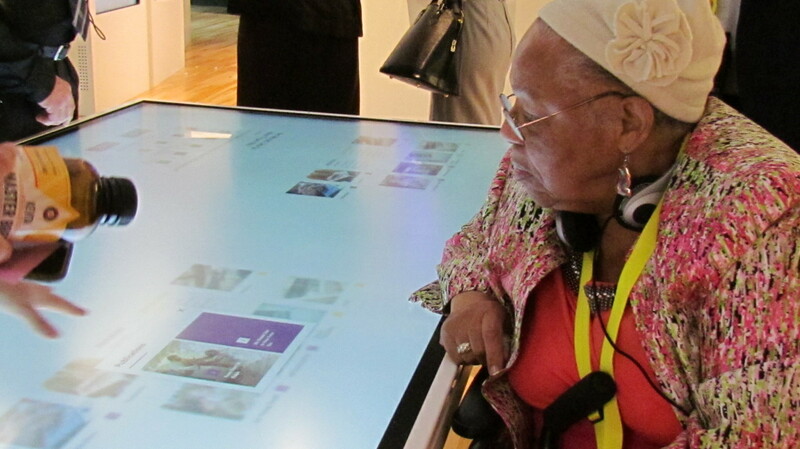 One of the numerous interactive displays that can be reached by wheelchair visitors and children. An abundance of wheelchairs are available at the headquarters. Numerous videos based on the history of Jehovah's Witnesses are also featured throughout the displays. 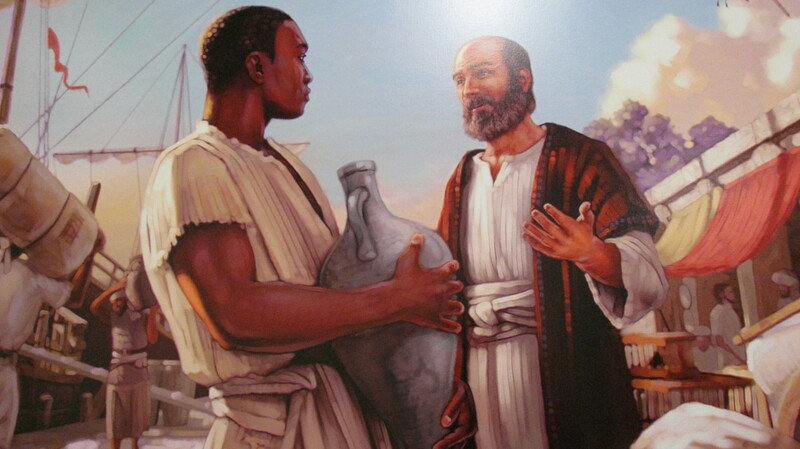 The love for all humankind based on the teachings of Jesus Christ taught to him by his Heavenly Father Jehovah God at John 13:34 which states: "I am giving you a new commandment, that you love one another; just as I have loved you, you also love one another." (NWT of the Holy Scriptures) This #love compels me to pray for all people under the Russian regime, who no longer have #religious freedom except for certain individuals. This legitimate source of justice is being taken away not only from Jehovah's Witnesses but other religious organizations within Russia. Sounds familiar? Are we witnessing another #Hitler regime? 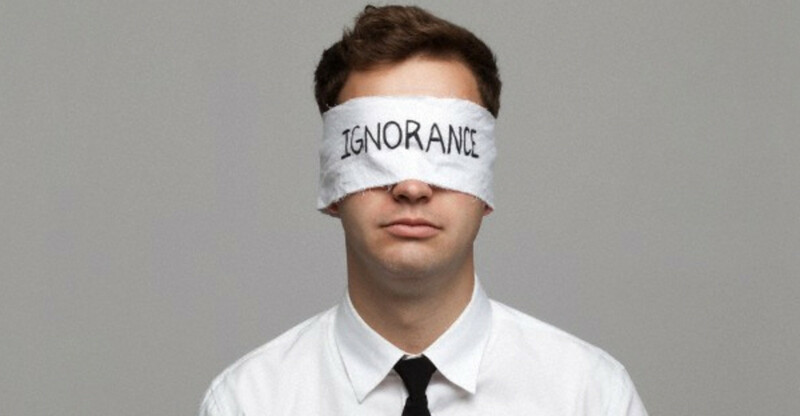 May each of us intellectually and spiritually discern the clear similarities rather than trying to condemn each other's religious choices. Check out the videos below and see why there are too many similarities of history repeating itself. Jehovah's Witnesses: Global Response To Threat of Ban in Russia. This video is from YouTube as well. 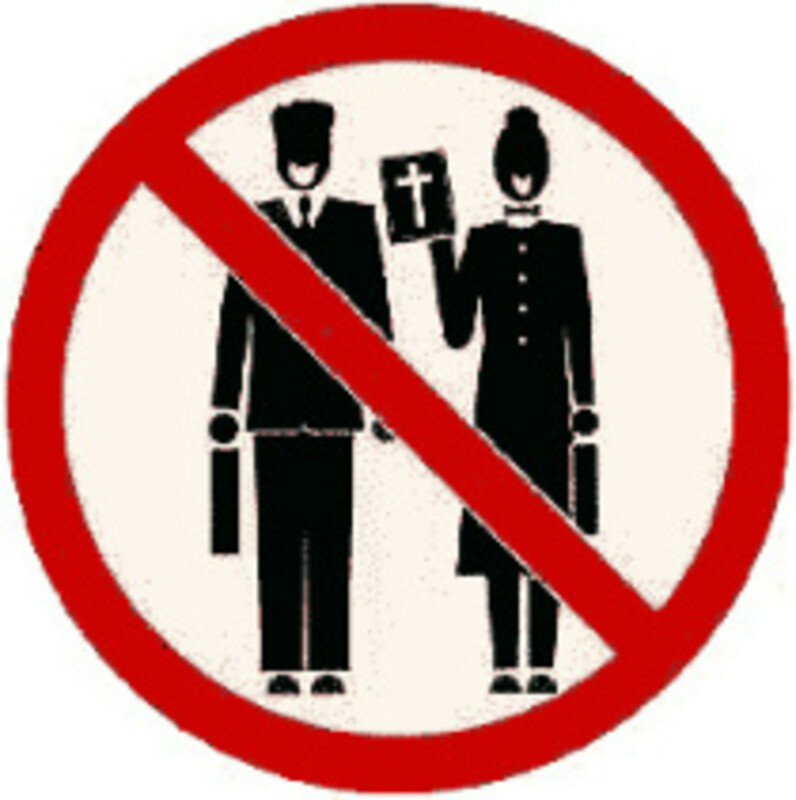 For additional information or concerns about the ban of religious freedom for Jehovah's Witnesses, go to the website below.